07.07.2013. The Wimbledon Tennis Championships 2013 held at The All England Lawn Tennis and Croquet Club, London, England, UK. Mens singles final. 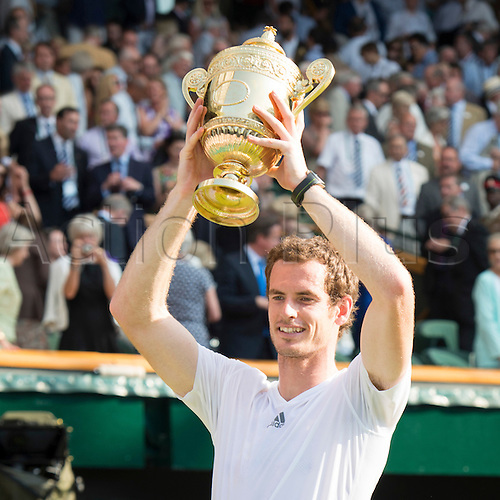 Murray shows the winners trophy to the crowd. Andy Murray (GBR)  defeated Novak Djokovic (SRB)  on Centre Court.